Scientists hope to give people back the use of disabled arms and legs after a world-first breakthrough allowing them to regrow the missing nerves in rats. Trials of the technology are still in the early stages, but ­better-than-expected ­results raise prospects of saving limbs lost in accidents or eventually overcoming paraplegia and quadriplegia. 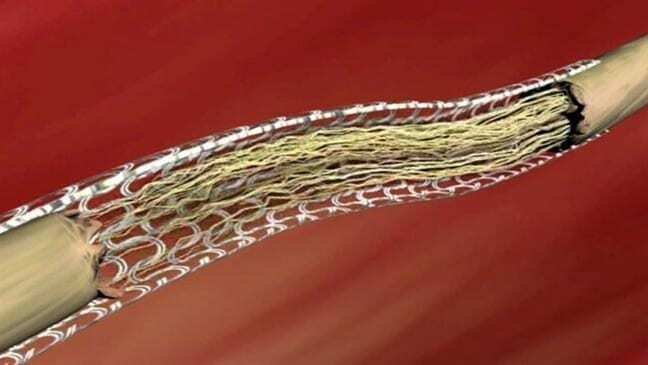 St Vincent’s Hospital researchers have built and implanted a bridge between severed nerves in areas too large and complex to be healed by conventional nerve grafts. After successfully restoring the feeling and partial use of legs in rats missing the main nerve to their limbs, director of neurosciences Prof Mark Cook said new trials had begun to see how far the technology can allow nerves to regrow in the hope it can be expanded to humans studies in the next two to five years. “We will have the potential to deal with a broader range and bigger injured nerves down the track,” Prof Cook said. “Some of these gaps in humans are substantial. You can have long sections of nerves in humans because obviously their limbs are a lot longer than in animals such as rats. In conjunction with ARC Centre of Excellence for Electromaterials Science in Wollongong, the St Vincent’s team built a chamber made of polymer and containing a gel of growth factors, which is placed in a 1cm section of missing nerve to act as a bridge and restore contact between the brain and damaged sections of the body. In recent trials the scientists were able to see rats regain partial and, when the chambers were removed after four weeks, discovered new nerves had grown to reconnect the disabled limbs to the brain. Assoc Prof Robert Kapsa said the technology could mitigate the impact of injuries by restoring more feeling. April 16, 2019 - 2019 Innovations in Cell, Gene, and Protein Therapies, Regenerative Medicine, Synthetic Biology, Epitranscriptomics, and CRISPR Editing - ResearchAndMarkets.com Associated PressPress release *content* from Business Wire. The AP news staff was not involved in its creation. March 27, 2019 - Spinning-prism microscope helps gather stem cells for regenerative medicine Medical XpressPluripotent stem cells are crucial to regenerative medicine, but better screening methods are needed to isolate safe and effective cells for medical use.